It is possible to smell Freon from a leaking window air conditioner. What is smelled is actually a combination of the Freon gas and refrigerant oil that is made airborne by the leak. 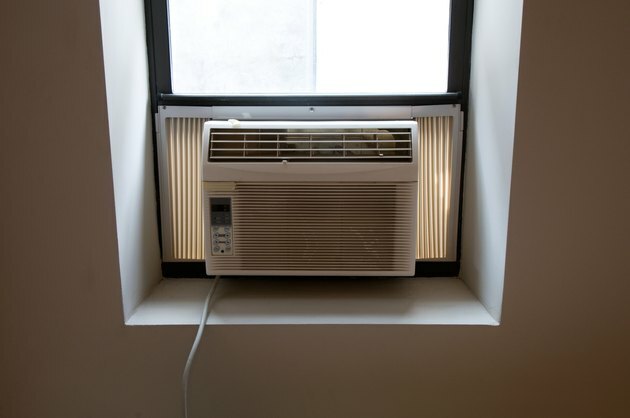 A window air conditioner has very little Freon gas in it, however, compared to the amount of air in a home. Due to this, the smell you are smelling is very likely something other than Freon. A window air conditioner contains relatively little refrigerant in its system. If it is a Freon leak, the unit should be removed from the home and placed outside as quickly as possible. Freon displaces oxygen, and in large enough quantities can cause illness. A very small amount of Freon can freeze your skin if it comes in contact with it, however, so wear gloves and eye protection when removing the unit. The coil and condenser portion of your air conditioner is not user serviceable. As such, any punctures, holes, or damage to the coils that results in a Freon leak needs to be serviced by an authorized service center for your particular brand of air conditioner. The refrigerant is under high pressure, and no homemade repairs or recharges should be attempted. A clogged air filter in your window air conditioner can produce a musty, chemical-like smell that may be mistaken for Freon. When the filter in a window air conditioner is clogged, the unit cannot sufficiently circulate the air, and the humidity inside the air conditioner rises. One symptom of this is a damp filter, which harbors mold and mildew, causing an odor. Change or clean the filter and see if the smell dissipates. A common source of odor from a window air conditioner is a clogged condensation pan. The condensation pan sits beneath the refrigerant coils and catches the condensation that drips from the unit as it dehumidifies the air. If the condensation pan gets clogged, it cannot drain properly, and can begin to smell. This smell may be musty, or reminiscent of rotten eggs. Wipe the pan clean and clear out the first few inches of its drain using a paperclip or piece of wire.